Since emerging from decades of economic and political isolation, Myanmar’s reconnection with the global community has seen its economy grow more than 6% every year. The Asian Development Bank (ADB) forecasts that the country will stay on a steady growth path. Myanmar’s surging economy is largely based on the harnessing of its extensive natural resources. Foreign direct investment is playing a major role by funding large oil and gas, hydropower, agriculture, and mining projects. Meanwhile, overseas development assistance is leveraging socioeconomic opportunities through ambitious investments in transport and telecommunications. The scale and pace of economic development hold great promise for poverty reduction, but also bring sustainability challenges that need to be addressed. These include finding ways to minimize the potential negative impacts that large-scale investments can have on ecosystems and local communities. The Government of Myanmar, with support from ADB and other development partners, has been putting in place the regulatory architecture for a national environmental impact assessment system since 2012. Myanmar has made impressive progress in 5 years, but much remains to be done, particularly in building technical and institutional capacity. This article was adapted from Safeguarding Myanmar’s Environment. What is Environmental Impact Assessment? An environmental impact assessment (EIA) systematically identifies and assesses the environmental risks of proposed projects, and recommends actions to improve project design and implementation. Carrying out EIAs helps projects avoid negative reputational and economic consequences. A strong EIA system can put a stop to particularly risky projects, meaning investors held accountable to such a system know that they must design projects so that potential environmental problems are effectively mitigated. ADB’s safeguards support to Myanmar began in 2012 through the Greater Mekong Subregion Core Environment Program, which supports the six countries in the subregion to strengthen their environmental management. Since then, ADB has provided complementary capacity building to Myanmar. The Environmental Conservation Rules provide the environmental policy and implementation framework for Myanmar’s Environmental Conservation Law (2012). The rules clarify the Ministry of Natural Resources and Environmental Conservation’s (MONREC) mandate to specify the type of projects that must conduct an assessment and to approve or not approve projects, as well as to determine liability penalties from environmental damage. The rules were made public in 2012 and officially adopted in mid-2014. The EIA Procedure is the regulation to enact the Environmental Conservation Law. The procedure specifies the type and scope of environmental assessments required for all investment projects that could cause environmental and social harm. This can include a full EIA or, for projects deemed less risky, an Initial Environmental Examination. The EIA Procedure is recognized as representing good regional safeguard practice and is comparable to EIA regulations adopted by other GMS countries. They are also largely equivalent to safeguard requirements of multilateral development banks. These guidelines provide a framework for EIA reporting as well as other guidance for practitioners and third parties to follow the EIA Procedure. They include details on key elements of EIA reports, such as project scoping, risk assessments, mitigation measures, and monitoring and enforcement. ADB is leading the development of the EIA Guidelines for Myanmar and a third draft is underway. Although not yet officially launched, the Environmental Conservation Department and project teams have been using the guidelines since mid-2014. Several organizations are producing EIA Technical Guidelines to help ensure good EIA practice is tailored for investment projects in key sectors. For example, technical guidelines for the oil and gas industry will specify EIA requirements for drilling discharges and seismic disturbances. ADB and WWF are currently working on mining guidelines, the Government of Norway is supporting oil and gas guidelines, and the International Finance Corporation is producing hydropower guidelines. 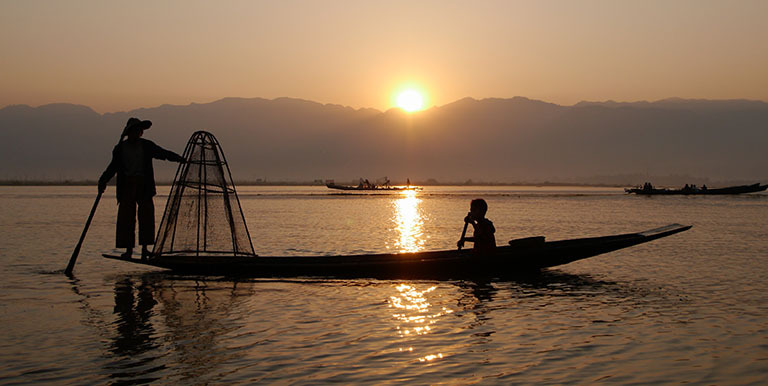 The Mekong Center for Responsible Business recently began support for tourism guidelines. These guidelines provide a basis for controlling and regulating air, noise, and water quality as well as industry effluent and emission discharges. They determine acceptable emission limits for different types of projects and activities, and play an important role in preventing air and water pollution as well as other forms of environmental degradation. Myanmar adopted emission guidelines in December 2015. When completed, these standards will incorporate and supersede the Environmental Quality Emissions Guidelines and will become a regulatory requirement. They will be more comprehensive than the guidelines and will include ambient standards, which specify the limits of pollutants found in the environment (air, soil, water). ADB is currently leading the development of the quality standards. Civil society, government, and private sector stakeholders have regularly been brought together to provide input and gain a shared understanding of the emerging EIA system and its elements. Under the GMS Core Environment Program, there have been more than 15 EIA national multi-stakeholder consultations, awareness-raising events, and training programs involving more than 1,000 stakeholders. During 2016–2017, the Environmental Safeguard Institutional Strengthening project trained more than 300 stakeholders on EIA report writing, approval processes, and compliance monitoring. The Ministry of Natural Resources and Environmental Conservation (MONREC) is the agency responsible for environmental impact assessment (EIA). Depending on the project type and size, and as specified in the EIA Procedure, proposed projects may be legally required to undergo an EIA or Initial Environmental Examination (IEE). At its discretion, MONREC can also require existing projects to undergo EIA or IEE. MONREC creates the Terms of Reference for the EIA, but it is the responsibility of the project proponents to commission the EIA, which is conducted by MONREC-certified consulting firms. EIA reports must include an assessment of the environmental risks and the identification of appropriate mitigation and monitoring measures. EIA reports must also have an environmental management plan to specify how these measures will be actioned. Following a review of the EIA report, if deemed satisfactory, MONREC will approve the project by issuing an Environmental Compliance Certificate. Approved projects must then submit EIA compliance reports to MONREC every 6 months and the ministry can conduct onsite inspections in case there are concerns or complaints. For projects failing to meet their EIA compliance requirements, MONREC will provide support to help the project become compliant. MONREC has the mandate to apply financial penalties or halt projects for projects that repeatedly fail EIA compliance. Source: GMS Environment Operations Center. With the regulatory architecture in place, Myanmar has made impressive progress developing its national EIA system. Hundreds of projects have conducted EIA or an Initial Environmental Examination and the reports are in various stages of review. However, despite some human resource investment and training, the institutional and technical capacity of MONREC and other ministries to apply safeguard requirements remains far below what is needed. There is a considerable backlog of EIA reviews and approvals to be conducted. Capacity building needs to continue to ensure the potential of the EIA system. Under ADB’s Myanmar Country Partnership Strategy (2017–2021), ongoing safeguards capacity support is a priority area. Asian Development Bank (ADB). 2018. Safeguarding Myanmar's Environment. Mandaluyong City. Greater Mekong Subregion Environment Operations Center. Myanmar Safeguards (2012 Onwards). He has more than 22 years of experience in integrated natural resource management and agriculture sector diagnostics, project design, development, management, and appraisal. He has a master’s degree in Public Management from the University of Maryland, College Park and a master’s degree from the Delhi School of Economics.